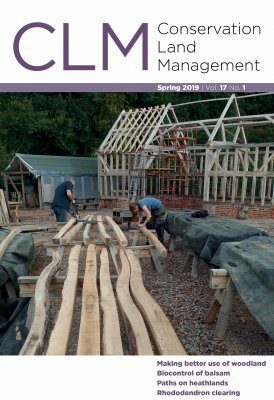 Welcome to Conservation Land Management (CLM), a quarterly magazine that is widely regarded as essential reading for all who are involved in land management for nature conservation, across the British Isles. CLM’s readership is diverse – encompassing staff working for statutory agencies and government departments, local authorities, charities, universities and research institutes, as well as ecological consultants, university and other higher education students and lecturers, volunteers, farmers and other private landowners, and individuals with an interest in how best to care for Britain’s terrestrial wildlife and habitats. CLM is independently owned and published by NHBS, as a sister publication to British Wildlife magazine. Relaunched in April 2018 in new format!